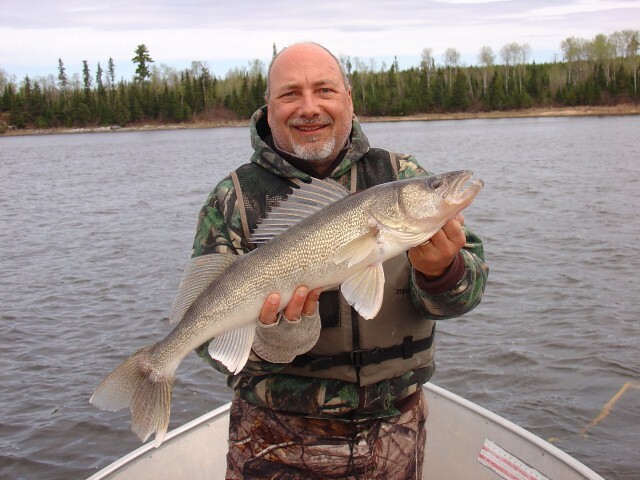 Ralph Slakers party returned from their fly in fishing vacation at Lount Lake yesterday (May 22) after a few days of fishing for the opening of Walleye season. Originally, they were scheduled to stay on Malette Lake, but due to our extended winter here in Ontario, Malette was still frozen over. So we flew them into Lount Lake, which turned out to be an excellent alternative! The main lake temperature was 40 degrees with the bays being 43 degrees. They reported that the weather was nice for the most part, although a little windy. However, the fishing was fantastic! 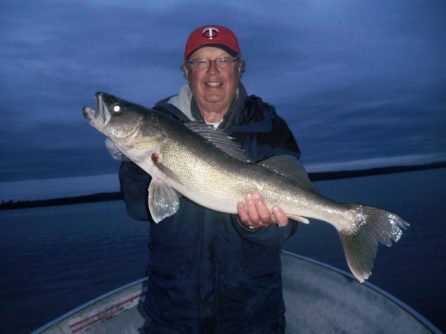 The Slakers party told us that they released two 29-inch Walleye, and Tom even released a 31-inch Walleye. The Walleye were in pre-spawn, so the group was quite successful in catching them in the 10-12′ of water. 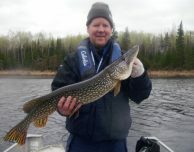 In addition to the Walleye, the adventurers also caught several Northern Pike over 35 inches and even released a 39-inch Northern. To top off the trip, the fishermen were serenaded by howling wolves for several minutes. Our excitement for this year’s fly-in season continues to build with every new fishing party. We hope that you are anxiously awaiting your trip to Nestor Falls, because we can’t wait for your arrival!